Nearly a year ago to the day and completely out of the blue TF2 – Law Abiding Engineer fell from the YouTube sky and the legend of OneMoreUser was born. A previously unknown, Russian animator had taken the dramatic trailer to F. Gary Gray’s Law Abiding Citizen and turned it on its head. The trailer OneMoreUser pushed out kept the explosive tension of the original film but inserted Team Fortress 2 characters into the lead roles. 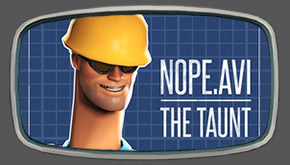 The merge was so convincing it prompted Valve’s Tom Bui to mention it on the official TF2 blog. Just at the point where the impact of his work had begun to fade from our memories, OneMoreUser unleashed his re-imagining of Christopher Nolan’s The Dark Knight. This time, Batman was played by the Blu Demoman, Joker the Red Spy, Harvey Dent the Blu Soldier and roles were found for all other classes. Even the scout’s mum and Gabe Newell have their parts to play. KritzKast caught up with OneMoreUser to ask him a few questions. KritzKast: Who are you and where did you come from? Moscow, Russia. Just finished the university (as a coder), getting a full-time job. KK: How long have you been animating? OMU: I’ve started with all this 3d stuff in the 2002-2003. There was a project about remaking the StarCraft BW on the WarCraft 3 engine named “Project Revolution”. I worked in that team with a nick Zookeeper, there was a lot of animation and modelling work so this project gave me some experience. Unfortunately, project was never fully released AFAIK. KK: Do you animate professionally or is this just a hobby? OMU: More like hobby, I don’t know a lot of things about it, so I can’t use it in high-level projects. KritzKast: These are very polished videos. Would you consider ditching your coding and taking a job in animation, if someone were to offer it? OMU: Yeah, I’m going to work in the CG sphere, not in the coding one. KK: What software do you use? OMU: 3ds max for modelling and animating, Nuke for composing. Also Photoshop for other things. There are some more, but I use them less often. KK: Do you work as part of a team or is this all your own work? OMU: L.A.E. and Demo Knight are my own ones. Well, there are elements that are not mine (like models and heh, the movie footage) but I always try to mention in credits everyone who did them. KK: L.A.E. came out in March 2010 and now, almost exactly one year later year we have The Demo Knight. Can we expect to see another TF2/Trailer animation in March 2012 or are you working on something to come out much sooner? OMU: Not sure if I’m going to do anything like these two trailers soon. The work of that kind is pretty time-consuming because of lots of scenes and characters shown in almost every trailer you can use. We’ll see about that. KK: L.A.E. took 6 weeks to make according to your comments. Was T.D.K. any quicker? OMU: I don’t remember actual date when I’ve started making the T.D.K. but I guess it took some more time to do it than L.A.E. KK: What were the most difficult / fun / rewarding parts of T.D.K. to make? OMU: The most difficult scenes were the ones with the crowd, like the one where Joker comes to the party with his gang. Most fun are probably short scenes with something that wasn’t in the movie, for example one about the spy with an explosion on the background. As for the rewarding, hmm, maybe the loadout screen, the grenade-jump, and the RED/BLU soldier with a nice big cup of maggots. KK: What made you start doing these and why you chose TF2 characters? OMU: Why the TF2 ones, hmm, actually because of the first video (L.A.E.). I just thought that Engineer vs Spy would be nice and I can even add some more characters. So in the next video after all those “MAKE MOAR” comments I had no doubts which models i am going to use. KK: What’s your favourite TF2 class? OMU: In the 2007 that was the Demoman but now it’s the Pyro. The hardest for me is the Sniper. KK: I too am a Pyro; you couldn’t have said anything to make me smile harder. Thanks to Kulikov for answering our questions and letting us host his work. 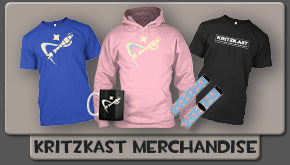 So long as there’s TF2 there will be KritzKast.